When you’ve triggered the apocalypse, who could blame you for becoming a little morose? That is Lara Croft’s curse in this third of the rebooted series, which took the cartoonish character of the 90s and recast her as a frightened heroine-in-the-making. Shadow goes even darker than before, as Croft wrestles briefly with the apocalyptic angst before resuming her virtuous but murderous campaign to stop an evil treasure-hunting cabal. That the emotional arc is effectively one-note (save for a charming but brief interlude as pre-teen Lara) doesn’t matter so much when the scenery of Peru’s jungle is so ravishingly beautiful and the intricate tomb-raiding puzzles so enjoyable. 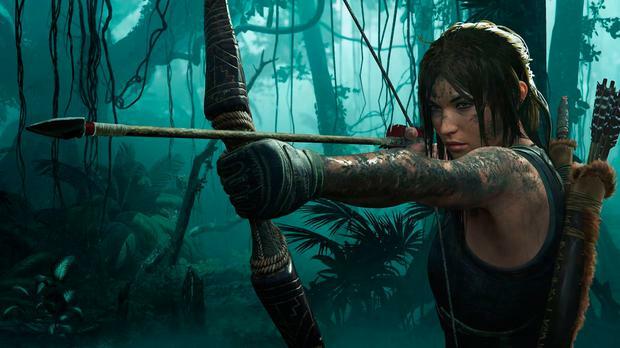 Indeed, those optional loot-seeking objectives — which are often rewarded with extra abilities — stand as some of the finest segments of the game, a welcome return to Lara’s roots. Shadow would not come off well in inevitable comparisons with the Uncharted franchise (itself inspired by Tomb Raider in the beginning). The brutal combat diverges even further from the original Croft blueprint and the action beats seem a little predictable. But despite Shadow’s lack of innovation on the gameplay front, few players will not be sated by Lara’s continuing adventures. Clementine’s story began the Telltale version of the Walking Dead universe and now, four series later, she fittingly returns in the main role for its denouement. Where she was once a quivering child protected from the walkers by good-hearted convict Lee, now she’s the parent figure. This opening episode of the final season, entitled Done Running, follows Clementine seeking sanctuary for herself and her ward, AJ, a boy who’s never known anything but the primal fear of dying violently. The parallels with season one are ladled on but, to Telltale’s credit, AJ emerges a rounded character with his own preoccupations. Considering the improved, semi-abstract art style and the greater range of abilities available in the action sequences, Done Running makes for a promising prologue to this climactic finale.